This project brings together two musicians who have been collaborating for more than ten years in numerous projects. Among their common collaborations, multi-instrumentalist Aki Montoya’s group Trioakì focused on crossover music merging North Indian music and contemporary jazz. The trio played in concert with the great, late clarinetist and composer Tony Scott. Both experienced artists in performances involving different forms of expressions, Allulli and Ceccarelli composed original music for the Live soundtrack to silent movie “Cenere”, a film starring great Italian actress Eleonora Duse. This performance has been presented in various prestigious venues around the world, including the “European Film Festival” in Beirut, Lebanon; the “8 1/2 Festa do Cinema Italiano” in Cascais and the “Dia Europeu das Línguas” in Óbidos, Portugal; the “Sensorium” festival in Panjim, the “Festival of the Arts” in Delhi, the Victoria Memorial Hall in Calcutta, plus a two-week long tour across all India. (The Live soundtrack to silent movie “Cenere”) reaffirmed the magic and power of music, keeping the audience mesmerized all through the two-hour show. 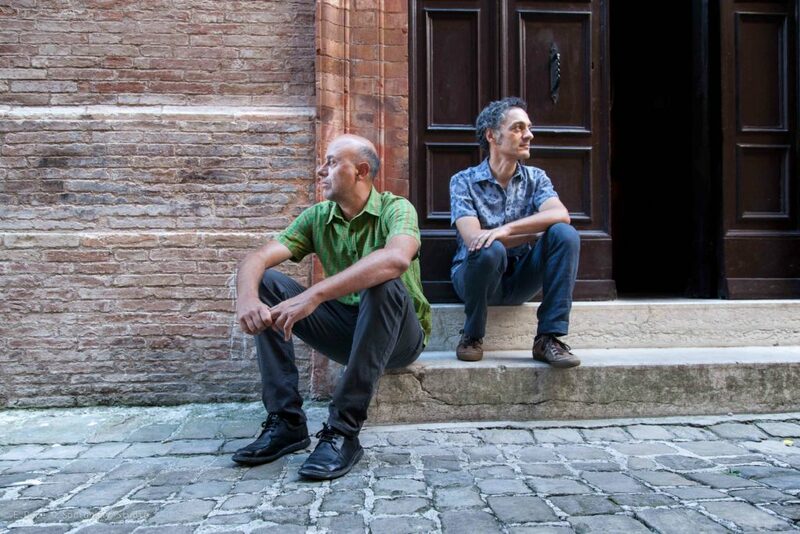 Allulli and Ceccarelli also give concerts, their repertoire including original compositions, jazz standards, the Brazilian, Italian, Cuban, and Argentinian songbooks, crossover music. They collaborated in studio and in concert with Patrick Goraguer, Andrea Dulbecco, Ermanno Baron, Paolo Orlandi, and Matteo Fraboni.